Good game idea but can be polished. 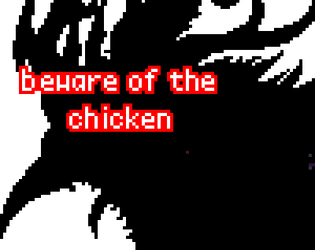 The fact that the bullets come out to the chicken's right should be reconsidered; might be intentional to prevent holding space and not dying, but it's disorienting. Hitboxes are off, and music is somewhat unfitting, but the art is cute. Thanks for the keen attention as you played. Will fix bugs mentioned in next update. Fun little game. The soundtrack in the background built suspense nicely! 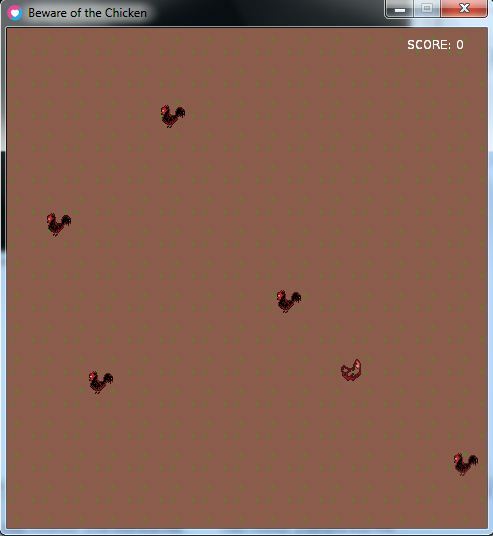 when i already got hit by a rooster, the mother hen can still shoot eggs while being invisible (and hitting roosters with the eggs still gives me points!). Please enforce the rules of death/game over a bit more strictly. 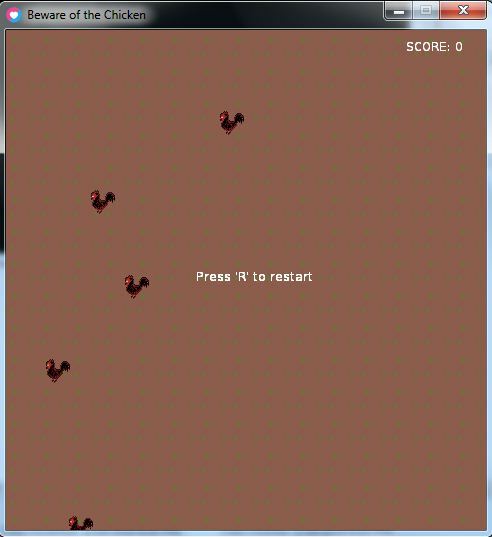 after restarting, the mother hen starts below the screen (beyond the invisible barrier at the bottom) for some reason.